Last Monday I woke up and marched out to my “War Room”. Yes, I marched. I didn’t walk, I didn’t saunter, I didn’t even stumble in those early hours of the morning when normal people are sleeping. It was symbolic for me. Anyone who battles a chronic illness will understand what I’m about to share. I have battled Adrenal Fatigue for many years. I am not sure for how long, since I had already battled fatigue for at least a few year before I found out what I had. In 2006 I was told I had chronic fatigue. Since I didn’t “believe in that”, I pushed myself to the point of exhaustion. I often battle fatigue, sometimes it is accompanied by depression. I recently walked through such a season and it came to a point when I knew I needed to take serious action. I began digging out verses on joy to meditate on. Such a great verse on joy! But did you notice the last part? Our strength comes from joy. But not just any joy – the joy of the Lord! I’ve always known that, but for some reason as I tried to climb out of the blanket of fatigue that threatened to smother me with its weight, it took on new meaning. Last year I wrote a 5-part series on Adrenal Fatigue, but in all my research on food, sleep, stress, exercise and healthy eating I left out very important and critical element: the spirit. No, I am not insinuating that Adrenal Fatigue, chronic fatigue, fibromyalgia or any of these chronic illnesses that lead us to extreme fatigue are spiritual in nature. I don’t believe that at all. But I do believe that how we respond to them spiritually can make a difference! If we only seek to resolve them in our body and soul and never seek a spiritual response, we’ll find ourselves stinted in our recovery. But more than that, we’ll find ourselves continually back at square one. 1. My mind played a critical role in my recovery. Much of stress comes from my mind and my thought patterns. I can’t wait to write more on that!!! But the way I think and the thought patterns I develop can – and will – have a direct affect on the amount of fatigue I feel. 2. Joy isn’t circumstantial. Happiness is. Happiness relies on situations and circumstances, but joy is a choice. And joy is centered in Christ. So, I can be sick in body and I can be walking through a trial, and still have abundant joy because joy is centered in Christ and in Him I always have reason to rejoice! And if joy is in Christ and the joy of the Lord is my strength then in Christ I can always find strength for my day. And as I meditated on that all day, suddenly I began to feel the fatigue drain away. The next day, I opened my concordance and began jotting down more verses on strength and all week I meditated on verses having to do with joy, strength, my mind and my thoughts. And can I tell you that the depression is gone and despite minor setbacks – like a 2-day migraine – I feel better than I have in months. 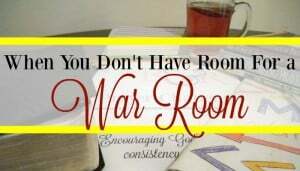 Dear sisters: our war rooms are for that purpose – to go to war. To war against not only the enemy of our souls, but the enemy of our bodies as well! He attacks in sneaky ways, and one way he wants to attack us is through our bodies. As we battle chronic illness, he seeks to rob our joy. And by robbing our joy, he robs our strength! But here are 10 verses (and there will be more of them coming in a prayer challenge later!) on strength that you can print out and put in your war room to remind yourself where your strength comes from. Receive a link in your email to download these verses by typing in your email address below. I haven’t read all off this post . I will as soon as I finish sharing this. THE NUMBER ONE PRIORITY FOR US WITH CHRONIC CONDITIONS/ ILLNESS IS TO KEEPING OUR SPIRITS UP. TO KEEPING THE DEPRESSION AT BAY. HOW DO WE BEST DO THAT? GETTING AS CLOSE AS WE CAN TO GOD. That’s when we need a WAR ROOM. NO MATTER WHAT WE USE AS ONE. I love yours by the way. For your self. Your family. For all of us who need reminding. Last summer was Unbelievably hard for me. My depression got really bad. I GOT SICK. REALLY SICK. HOSPITAL STAYS. I WASN’T FIGHTING SATAN. HE WAS WINNING. I WASN’T PRAYING / JOURNALING LIKE I NEED TO. I PRAYED. ON THE SUFFACE. I PRAYED. . BEGGING. NOT ASKING. NOT ALL OWING God to help. This year…To be truthful….I am already fighting. We never had a winter. Or a fall. We have had very few nice Florida days. YET, I AM AT WAR. No need to apologize for rambles at all. I’ve been in similar situations as you’ve described here. Yes, we have to fight, because this is another trap of the enemy to take us out. 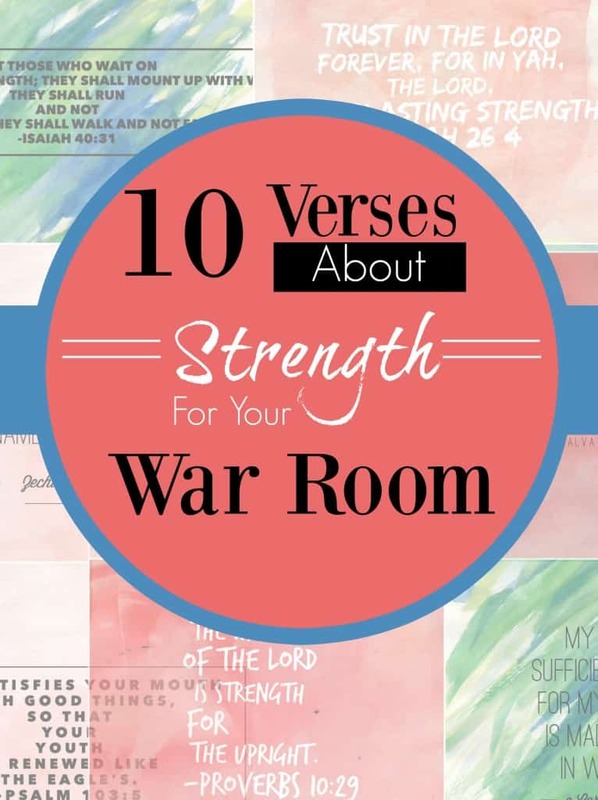 Thank you Rosilind for these 10 Bible verses for strength and joy. I’ve had my own health issues for the last 30 years, and I understand exactly what you’re saying. Sometimes no one knows what I’m going through and that would feel very lonely if it were not for God with me. I believe that more people and families go through things and crisis situations than we know about. But in the midnight hour, God is with us and He will help us. God bless you, sweet sister. Yes, it can be very lonely when you’re walking through a chronic illness that people cannot relate to. But God has been there. Jesus bore our pain and suffering. That is such a comfort to us. Thank you! 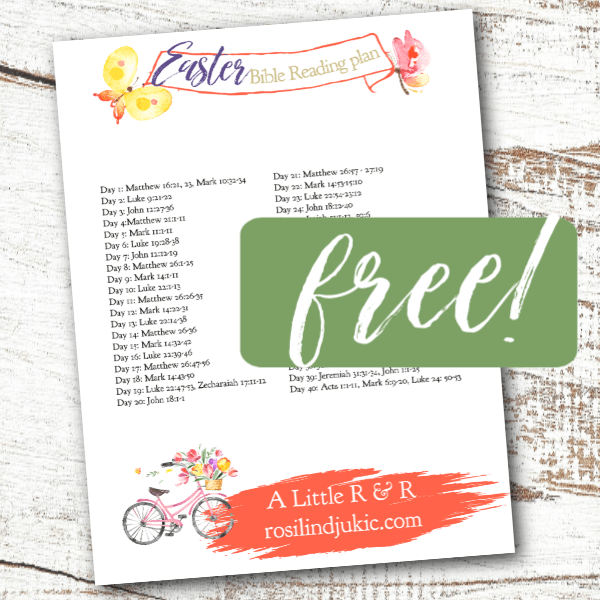 I agree with your thoughts and love the scripture printables! Pinned it, of course! Thank you Rosilind. Every since I saw the movie War Room I have so geared up to make my own War Room. I walked around my house to see if I had a room or a closet that i could make into my War Room. Well I found one room, Ok start laughing, it’s the bathroom. But I figured God doesn’t care were you have a conversation with Him. Anyway, things were going well, up until the last 3 weeks. My father in Law passed away, and everything went down hill from there. I to struggle with fatigue as well. Right know I have to add spiritual fatigue to that list. This is my first week that is semi normal. 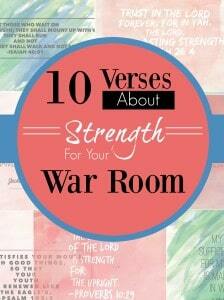 The verses for strengthening my war room is what i needed. Thank you very much. Oh Annie – I am so sorry for your loss. It is normal to feel a disconnect when you’ve experience loss, but you are doing exactly the right thing…pushing through. Lean on Christ. He is your strength. I said a prayer for you today. I just found your blog and am so thankful for it! On this post tho I couldn’t find the things that helped u avoid distractions, it went tog verses. Any ideas? Thank you for you inspiration today and sharing the Word of God with so many!! Bearhugs and Gods Blessings to you and yours! You’re welcome my friend! Hugs back to you!